This CD is a homage to a man who left this planet way too soon, at the age of 40. The intention of the four musicians is to acknowledge what Thomas Chapin meant to a music community of the downtown New York. Structures born from profound reflections, instantaneous gestures establishing a current of reciprocal understanding. 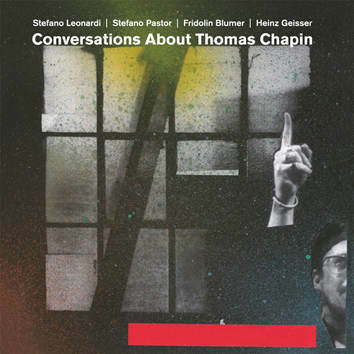 All four musicians (Stefano Leonardi - flutes, Stefano Pastor - violin, Fridolin Blumer - bass and Heinz Geisser - drums) are convinced that Thomas Chapin would be thrilled to hear these conversations.